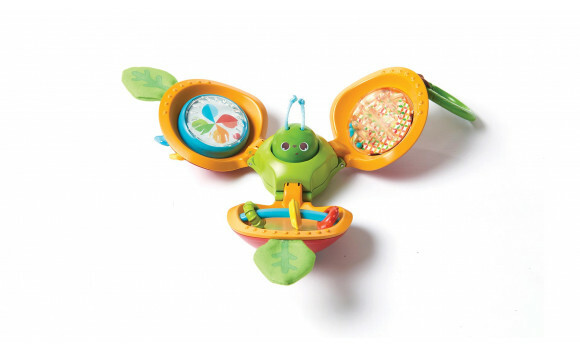 The Explore & Play Apple opens up to reveal 4 fun activities that support the development of fine motor and cognitive skills. 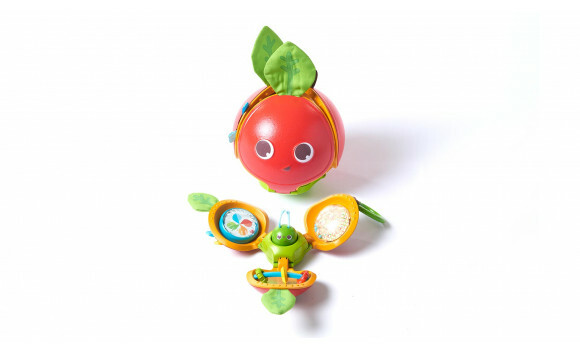 Full of surprises, this colorful apple invites baby to explore and experiment: rattle, press, roll, open and close. 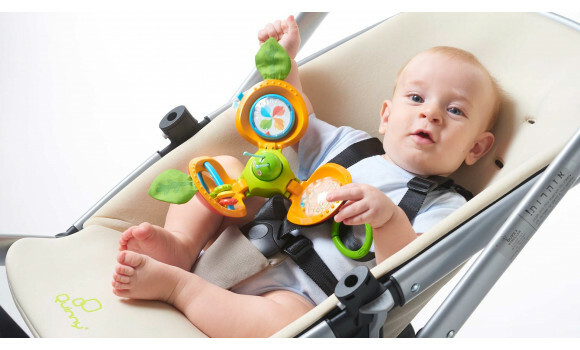 Versatile and easy to take along, this toy is excellent for a variety of playing areas and positions (lying on the back, on the tummy, sitting). 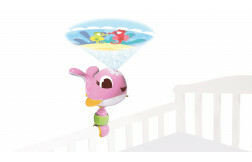 Rolls around on the floor, encouraging baby to follow and practice crawling. 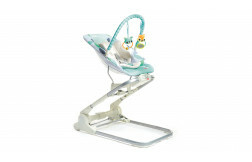 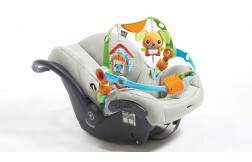 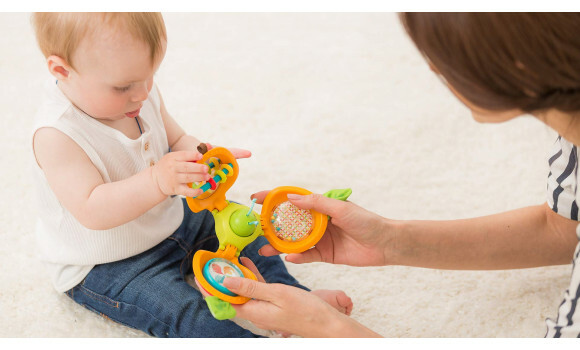 Let your baby use hands and mouth to explore the toy while on the back or tummy. 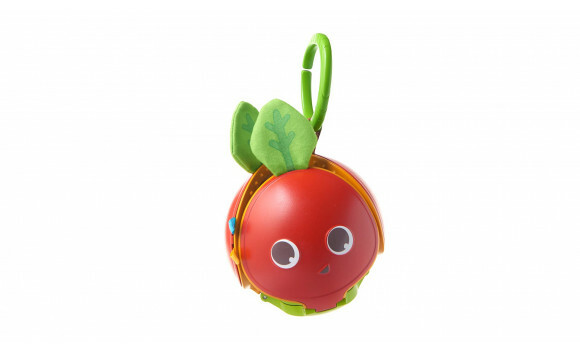 Soon, baby will gain the ability to roll the apple intentionally. 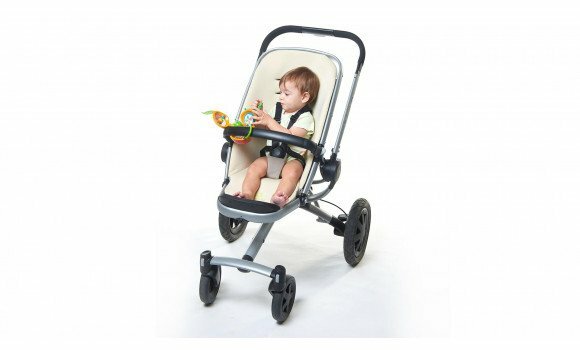 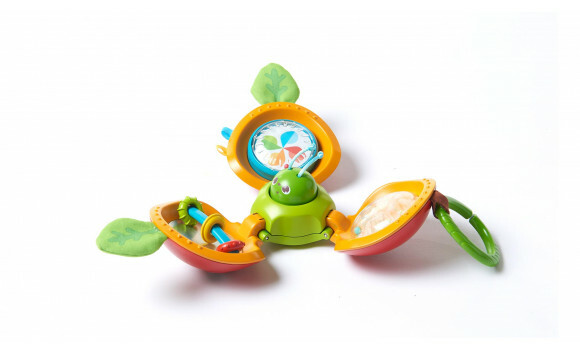 Let baby enjoy playing with the inspiring activities hiding inside the apple in a more sophisticated way while in the tummy time position or even sitting up. 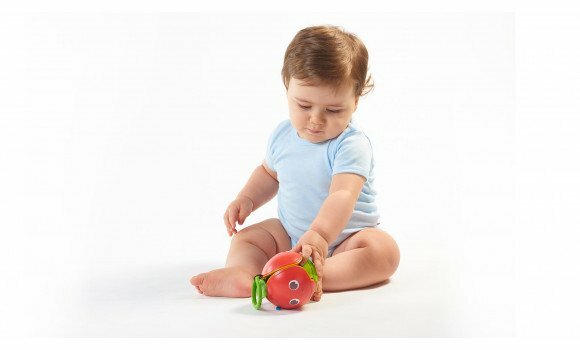 Use the toy to encourage baby’s creeping and crawling, helping baby make the extra effort to move forward and reach the rolling apple. 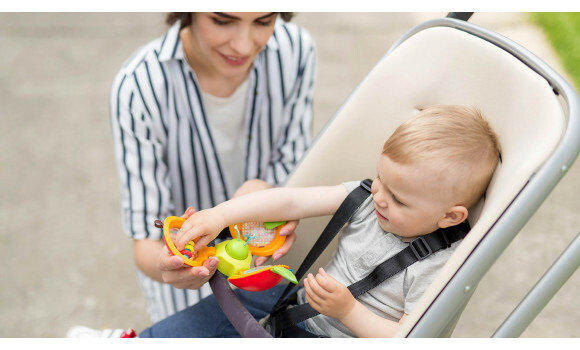 The apple’s activities require that baby use fingers and hands in a way that encourages and trains the smaller muscles. 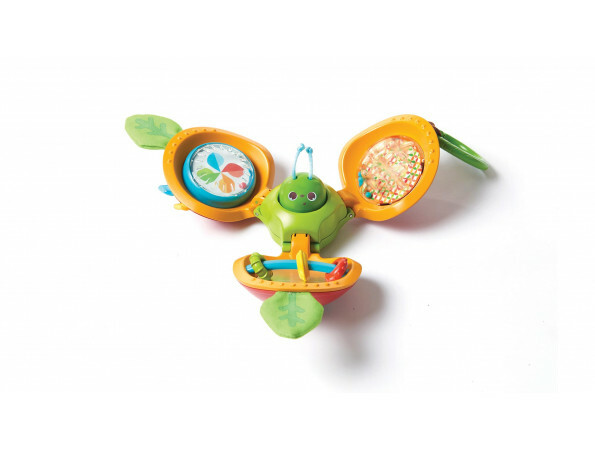 The apple-shaped toy opens up in a peek-a-boo motion to reveal cute and inspiring activities. 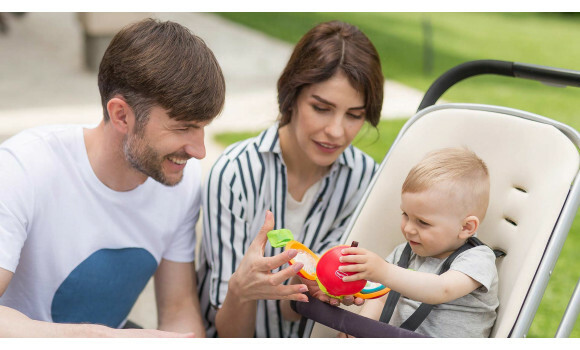 This supports baby’s understanding of object permanence. 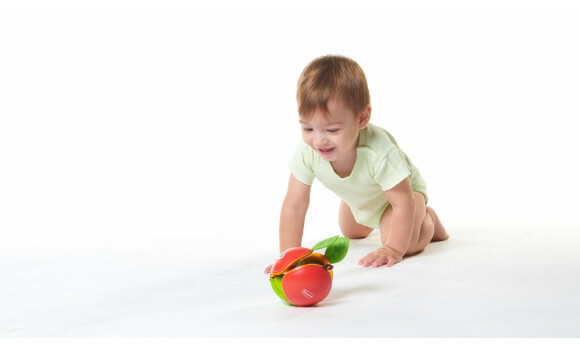 The various activities in the apple stimulate baby’s developing understanding of cause and effect. 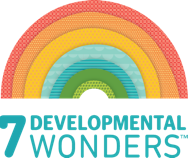 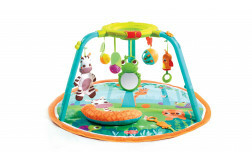 The diverse textures, materials and sounds stimulate baby’s senses.